The Nova Friburgo Campus, situated in the Cascata Park, covers an area of 1.8 million square meters. Its activities and research include Applied Mathematics, Scientific Computation, Porous Media, Thermofluid Dynamics, Particle Transportation and Materials. 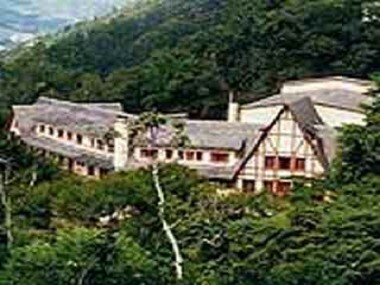 The Polytechnic Institute of Rio de Janeiro (IPRJ) houses a centre for environmental studies which aims at promoting solid social action within the environment, which, in turn, contributes towards the development of ecological awareness. To this end, the Institute employs the technological know-how of both faculty staff and academic student. The Project for Environmental Studies, created by the Institute, reflects a joint effort in various fields, including those involving environmental education, the creation of a laboratory for environmental control, research in the area of recycling of solid residues, control of effluents and the simulation of environmental problems by means of the numerical methods including sustainable development tools. To ensure that the project functions smoothly, the Centre has been organized into six segments which function on an interdisciplinarily basis, namely: Environmental Educational, Environmental Law, Environmental Administration, Technological Administration, Marketing and Environmental Impact.